Wow we! 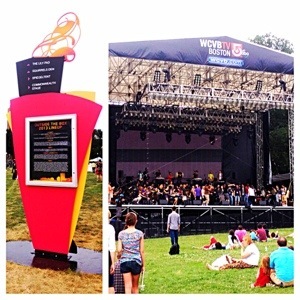 A festival on The Boston Common! 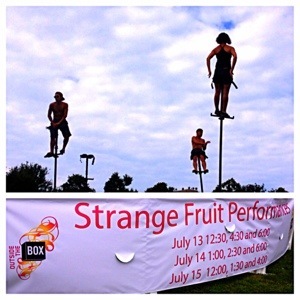 Outside the Box is a 9 day free performing arts festival running from July 13 to the 21st right here in my neighborhood. 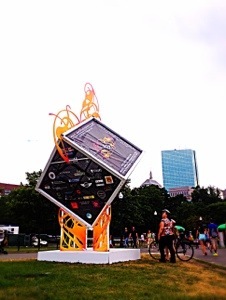 I stumbled upon the beginning stages of construction about a week ago on the common on my walk home…. 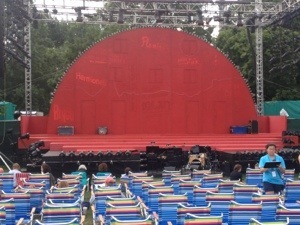 And way drawn to the main stage Friday afternoon during dress rehearsal. 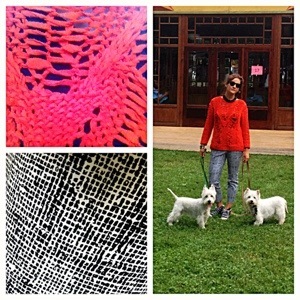 With my dogs, Lady Grace and Sir William Wallace, I toured the grounds. Street Corner Society (SCS) is a Boston-based theater & fashion collective specializing in experiences and adventures of an unusual, uncanny or ritualistic nature. Drawing inspiration from The Wolf Gang, the Society’s resident team of teenage wolf adventurers, SCS artists create events that blend high- and low-brow traditions in pursuit of a uniquely American aesthetic. Inspired by a collection of unfinished texts by Mark Twain that deal with the nephew of Satan, MYSTERIOUS STRANGER (#44) puts the ‘demon’ in ‘demonstration’ employing classical music, street magic and the black arts to articulate the ‘moral sense of mankind’ with the help of 13 lucky human beings like yourself. 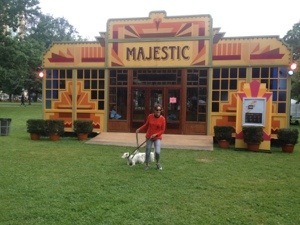 July 17th’s appearance is part of the Outside the Box Festival on Boston Common in the Spiegeltent (Majestic) at Tremont, curated by the American Repertory Theater. Doors to the venue open at 4:15 PM. Admission is free. The Wolf Gang Patron Saint of MYSTERIOUS STRANGER (#44) is Saint Damien. Should be a really great show! In other performing arts news, these guys will be performing TONIGHT at The Center for the Arts at The Armory in Summerville. 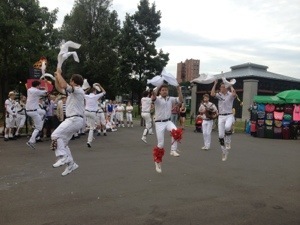 This is something called Morris dancing. I’ve never seen it before, but it caught my attention and the performers were really nice!